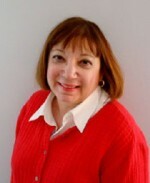 Diane Marcus, of Essential Business Etiquette, will discuss how to represent your business at social events during the holidays, at the next Women’s Network for Entrepreneurial Training’s monthly breakfast meeting December 6 at 8 a.m. at the SUNY Oswego Phoenix Center in the Oswego County Industrial Park, Phoenix (exit 14, State Route 481). During this seminar you will learn how to meet and greet people with assurance, how to be a good host, how to make small talk, how to disengage a conversation and how to create a positive image for yourself and your company. Marcus is a certified business etiquette trainer who advises companies and non-profit agencies in business, social and travel etiquette. Marcus trained with the Emily Post Institute and Jacqueline Whitmore in the art of business etiquette. She also offers special etiquette training for health care workers. Marcus has a BA in French, Spanish and Elementary Education, an MA in Liberal Studies and Educational Administration and was a teacher for 20 years. Through networking, presentations and information sharing, WNET provides professional development and personal growth for women business owners. The cost for each seminar is $12 for members and $15 for non-members. The WNET 2012-2013 (September 2012 – August 2013) membership cost is $25. Each seminar includes a light breakfast. WNET is supported locally by Operation Oswego County, SUNY Oswego Phoenix Center, Alliance Bank, BeautiControl, By Detail and The Greater Oswego-Fulton Chamber of Commerce. Payments can also be made via Credit Card on our website.